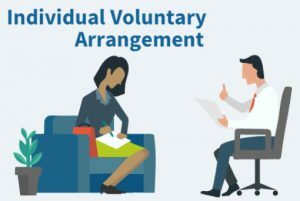 An individual voluntary arrangement (IVA) is a formal and legally binding debt management agreement available in England, Wales and Northern Ireland. It is not available in Scotland, where other – similar but not identical – debt management solutions exist instead, such as the protected trust deed. An IVA is not an agreement that you and your creditors can set up privately; you can only get an IVA with the help of an insolvency practitioner (IP). Private agreements between creditors and debtors are not covered by IVA rules even if they superficially look like an IVA. Repayment plan IVA (60 months or 72 months). For the IVA to be approved, creditors representing 75% or more of the value of the included debts must vote in favour of the IVA. Once an IVA has been approved, none of the creditors can take legal action to recover any of the debts covered by the IVA. You are only protected from legal action as long as you uphold your end of the agreement. Your finances will be reviewed annually until the IVA is complete. Can any debt be included in the IVA? No, there are certain debts that can not be included in an IVA. Examples of such debts are student loans, child support debts and fines. Also, secured loans, such as mortgage loans, can’t be included in an IVA. Examples of debts that can be included in an IVA are personal loans, payday loans, credit card debts, overdrafts and utility arrears. While the IVA is active, you are protected against legal actions from the creditors regarding the debts included in the IVA. They are not allowed to demand additional payments from you, take the issue to court, and so on. Of course, you only have this protection as long as you uphold the agreement. By agreeing to an IVA, you agree to quite a few limitations on your financial life. Entering into an IVA can also have consequences for your professional life. When you enter into an IVA, the IVA approval date will be recorded in your credit file and the information will remain there for six years, even if you complete the IVA faster than that. As soon as you have completed your IVA, it will be marked as completed in your credit file. Anyone checking your credit file will be able to see that you have entered into and completed an IVA. The information will be removed six years after the IVA approval date. If it takes more than six years for your to complete your IVA, the information will remain in your credit file until the IVA has been completed. 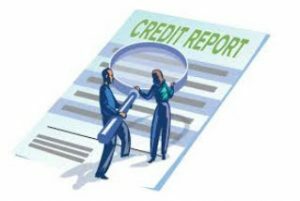 Having an IVA recorded in your credit file will have an negative impact when prospective lenders assess your creditworthiness. Information about you entering into an IVA will be recorded in the Individual Insolvency Register. The information will be removed three months after the completion or termination of your IVA. The Individual Insolvency Register is available to the public who can access it online for free. A member of the public accessing your record will be able to see the IVA approval date, your name, your last known address, your date of birth and your gender. They will not be able to see the size or nature of your debts. If you have a 60 month or 72 month IVA, you are required to keep to a budget for the full term of the IVA. While the IVA is active, you are not allowed to take out any new debts above £500. The IVA can also impact hire purchase agreements that you are already in. Exception: A mortgage loan where the money is paid into the IVA falls under special rules. When you apply for an IVA, you are required to let the insolvency practitioner (IP) know about all your assets, e.g. real estate, car, jewellery, savings, shares, art, etc. Just because you declare an asset, that doesn’t mean that it will be automatically sold to pay your debts. It all depends on the individual situations. While the IVA is active, you are required to declare any additional assets that you receive. It is likely that you will be required to pay them into your IVA. If you earn any addition income (including bonuses) you have to declare it and pay some of it into the IVA in addition to the normal contribution. You are unlikely to be forced to sell your home under an IVA, but if you have equity in your property, you may be obliged to release equity to help pay off your debts as a part of the IVA, which means that you have to mortgage or re-mortgage the property. This mortgaging / re-mortgaging will not be restricted in the way other new loans are during the IVA period. Typically, you will be required to mortgage or re-mortgage six months before the end of the IVA and use the released equity to pay a lump sum into your IVA. 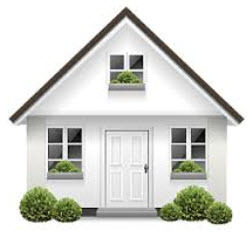 You will not be required to increase the mortgage to more than 85% of the property value. Of course, it is not always possible to find a lender willing to extend a mortgage loan to someone in this financial position. If you can not mortgage or re-mortgage, or if it would be too expensive, you may be obliged to make 12 extra monthly payments into your IVA instead. If you own a car, the value of the car and certain other circumstances will determine if you get to keep it. The insolvency practitioner will value the car. If the car has a very high value, the insolvency practitioner may question why you need to own such an expensive vehicle and your credits may require you to sell it to approve your IVA application. When a debtor is forced to sell an expensive car, the debtor will typically be allowed to keep enough money to buy a cheaper replacement car. If you own more than one car, you need to be able to justify this to the IP and to the creditors, otherwise you will be required to sell the extra cars and keep one car only. If you have a car on hire purchase, you will probably be allowed to keep making payments towards it. Of course, the hire purchase company might have a problem with you entering into an IVA. If a hire purchase agreement ends while your IVA is active, the extra money that becomes available will from now on be paid towards the IVA instead. There are certain work positions that may be impacted by you entering into an IVA. Such positions are typically found within the fields of finance, accountancy, law, property and similar. Before you enter into an IVA, it is wise to speak to your trade union or professional membership body, or seek legal counselling. I can’t pay this month! If it is impossible for you to make the monthly payment, it is very important that you contact your IP right away to avoid breaching the terms of your IVA. You can be allowed a short payment break, e.g. if there is an emergency. You can be allowed to somewhat decrease your monthly payments. A longer payment break, or a substantial decrease in the size of the monthly payments, will typically not be approved by your IP without permission from your creditors. Payment breaks and reduced monthly payments will lengthen the time it takes to complete your IVA.